Planes, trains and automobiles are perfect for little boys! 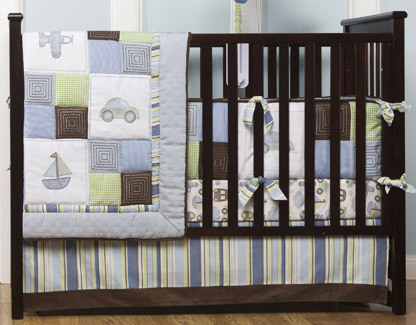 This KidsLine Mosaic Transportation bedding set combines boyish elements with modern design. Half fun, half style. Mom wanted a 3 piece set to hang above the crib. The airplane was her favorite, so we did that one in the middle, along with a tow truck and a car. 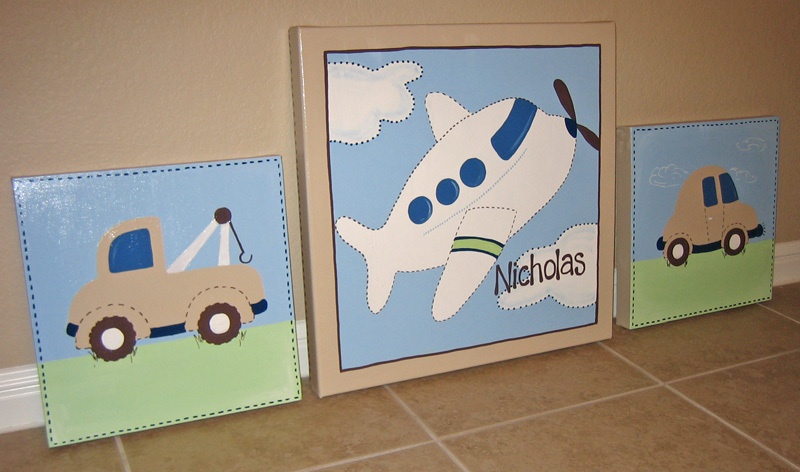 We also added baby Nicholas' name in the clouds on the center canvas. I love how the square shapes coordinate with the squares on the bedding. And the little stitch border gives it a homemade, quilted feel.